Harborside or tucked in the woods, mountaintop or the top of a city high-rise. Whether it's your main residence or your weekend retreat, it should be warm, sophisticated, cozy, chic, inviting, dramatic. It should be everything you always wanted it to be. After all, your home should be your Haven! Our team of expert designers can turn your dream space into a reality. Working hand in hand with you every step of the way, to create a space you can not only live in but feel at home in. Call us today to discuss your project! Interior Decorating is my passion. 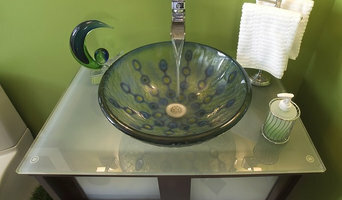 I love working with my clients to help them make their home and lives more beautiful. When I come to your home, I bring an extensive array of products covering the home furnishings market covering all styles from classic traditional to modern contemporary. I will show you samples of custom window treatments, bedding ensembles, floor covering, wall covering, accessories, lighting, upholstered furniture and case-goods so you don't have to run around town! My clients like my personalized service, customized designs, and the product that I bring together especially for them. They appreciate that their home will look special and not have a design or products that everyone has purchased from the same store in the area. I think you will find that I am both fun and easy to work with. I like to learn about how you live in your home and so I can help you make it a space that is comfortable and something you will be proud to show to friends and family. I will also discuss your budget so that I can bring together products and a design scheme that works best for you. No project is too big or too small. And we don't have to do it all at once. I will work with you on a plan to bring it all together on your budget and on your time table. I have been in the design business and the proud owner of my franchise for over 30 years. In that time I have had my design work published numerous times in decorating books and magazines. The latest publication is in "Love Your Home" published in 2017, available at Amazon.com and Decorating Den Interiors. I have also had the honor of receiving the “Franchise Owner of the Year” award, several “Dream Room” awards and The Best of Houzz 2014 - 2017 awards. For What It's Worth, LLC Carrie Lucke Interior Design carrielucke75@gmail.com Please contact me for full menu of services or see my website www.fwiwcarrielucke.com and visit my web site at www.fwiwcarrielucke.com I specialize in client focused Interior Design of Soft Living Spaces. I work with my clients to create a space that reflects their personal style and functions for the demands of their daily life. I specialize in combining textiles, custom furniture, custom window treatments, lighting and case goods to develop a space that is one of a kind. I am patient and flexible. I pride myself on clear and honest communication My number one business goal is my clients satisfaction. 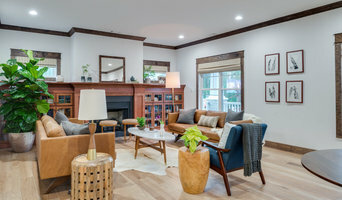 Milwaukee Area's Passionate Interior Designer | Best of Houzz 2019! Andrea Farr is the owner behind Farr Interiors, a full-service residential and commercial interior design company. With over 20 years of experience, Farr Interiors covers all aspects of new construction, renovation, space planning, custom window treatments and furniture and accessories. Farr Interiors specializes in comprehensive design projects and creating an entire look to have a balance of texture and function. At Farr Interiors, we listen to our clients intently in order to arrive at a design and a style that surpasses all expectations. We encourage involvement in selections to bring the homeowner or business owner closer to what they love and appreciate. Give us a call and we look forward to speaking with you about your project! Wisconsin Area Premier Interior Design Best of Houzz 2014-2018! At Decorating Den Interiors we come to you! Contact us today and schedule your Complimentary Consultation! SCHLAGENHAFT STUDIO is a full-service high-end interior design practice based in Brown Deer, WI that specializes in exquisite finishes, fine textiles and trims, bespoke upholstery and case goods, fine art and antiques. Named in memory of the late Jon Schlagenhaft, the Milwaukee area’s renowned interior designer, and led by his family, SCHLAGENHAFT STUDIO is comprised of a talented team of designers committed to keeping this visionary’s legacy alive. SCHLAGENHAFT STUDIO is located within the Deerwood Studio, a multi-use facility that Schlagenhaft built in collaboration with architect WADE WEISSMANN, whose architectural practice is located there. Along with the working architectural and interior design studios, there is also a comprehensive design library, all in a soaring, light-filled space that is the essence of inspiration and creativity. Save $100 off $1,000+ Purchase! Bergson Interiors strives to use our innovative residential design skills to create stunning living environments tailor-made to our clients' needs. 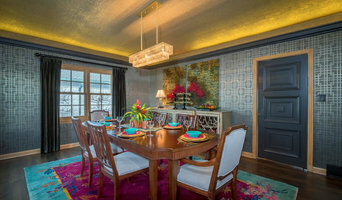 Our passion for our clients' unique desires drives us to create residential interior design projects that fit perfectly to your budget and discerning tastes- smart polished, graceful, and relaxed. Comfort, function and value are essential components with practical details carefully observed and orchestrated. INTERIOR DESIGN We are a full service design firm, offering our clients savvy advice based upon years of collective experience. Our capabilities include furniture planning, color selections, accessory planning, and window treatment design. 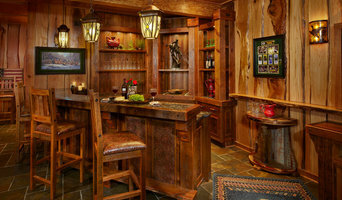 MILLWORK Interior Millwork has the ability to redefine your space in ways you might not have imagined. Years of experience designing architectural millwork has given Amy Carman Design the expertise to add these powerful design elements to your home. BUILD & RENOVATE We love the building process, and we've been fortunate to collaborate with many architects, builders, and homeowners over the years. Our insight will help guide you through the design process on your new home or renovation project.